After eight months’ work and a two-month selection process, the Automobile Club de l’Ouest (ACO), the International Motor Sports Association (IMSA) and the Fédération Internationale de l’Automobile (FIA), have chosen the four constructors who will supply chassis for the cars that will compete in the Le Mans Prototypes 2 category in ACO- and FIA-governed series and the Prototype class of the IMSA sanctioned TUDOR United SportsCar Championship beginning in 2017, when the category’s new regulations come into force. 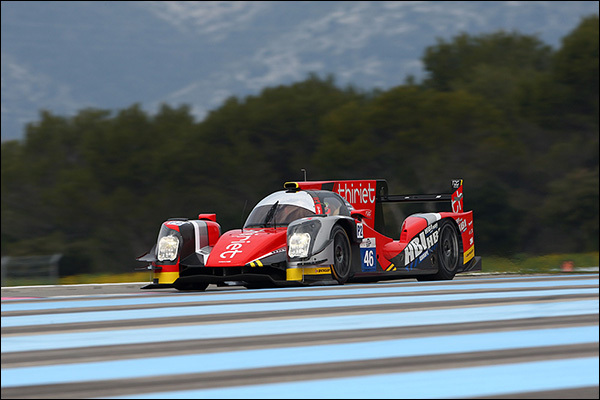 The four constructors are: Dallara (Italy-United States), Onroak Automotive (France), Oreca (France-United States) and the joint-venture Riley Tech/Multimatic (USA, Canada and the United Kingdom), subject to validation of the regulations by the World Motor Sport Council on 10th July. On 11th June 2015 the main guidelines of the 2017 LM P2 regulations were unveiled during the Automobile Club de l’Ouest’s press conference. The aim of these regulations is to ensure long-term success for this category thanks to a reduction in costs, the guarantee of stability in the regulations and the intention to bring the performance of the cars in the category closer to those of the current LM P1s. They will be applicable in the Le Mans 24 Hours, the FIA World Endurance Championship (WEC), the Asian Le Mans Series (Asian LMS), the European Le Mans Series (ELMS) and in the TUDOR United SportsCar Championship. 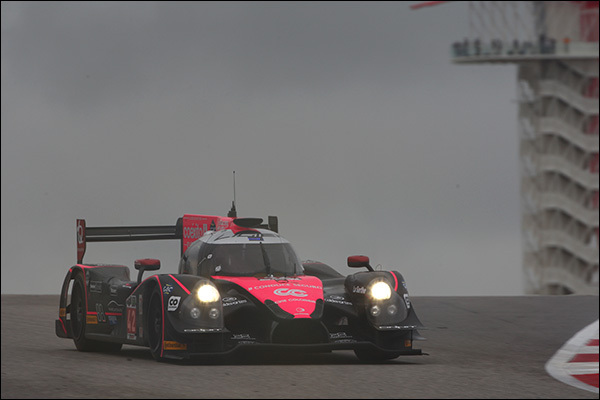 In ACO and FIA governed series, LM P2 cars will be powered by a single engine manufacturer to be selected this September. In the TUDOR Championship, Prototypes will be powered by engines from a variety of manufacturers and the chassis will include manufacturer-specific styling elements. Announcements on participating manufacturers will be made as programs are confirmed. The target horsepower for cars in all series is approximately 600bhp, and an Adjustment of Performance process will be used to ensure competitive balance. The ACO, FIA and IMSA also will select a single electronics supplier for all cars this September. TUDOR Championship Prototype teams will be eligible to use the same engines and chassis they race with in the United States at the Le Mans 24 Hours and in ELMS events, providing they utilize the constructor-specific bodywork as used in all championships outside North America. Likewise, all LM P2 teams will be eligible to race in all TUDOR Championship events using the same chassis and engine configuration they use in their home championship. The first provision to achieve the stated objectives and make these LM P2 regulations viable and workable was to select four chassis constructors including at least one from North America. The tender was launched on 13th May 2015 and closed on 10th June. The selection committee, which comprised three representatives from the ACO, IMSA and the FIA, has drawn up the list of the four constructors selected. • Provisions of the project aimed at reducing running costs and the annual budget of the entrants. 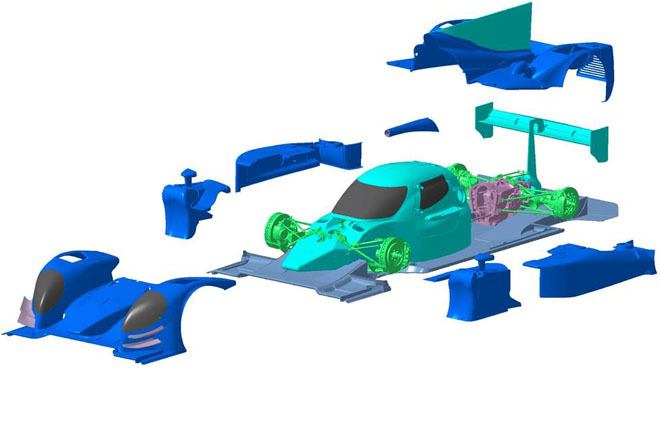 The Dallara, Onroak Automotive, Oreca and Riley Tech/Multimatic teams now will join the technical working group jointly managed by the ACO, the FIA and IMSA to define the final details of the regulations. One of the main objectives of this working group is to optimise all of the parameters to ensure the most economically viable set of rules for the teams. The cars must be homologated by, and available for use in January 2017 for the Rolex 24 At Daytona, the first race at which the new TUDOR Championship Prototype / LM P2 category regulations will be applied. Pierre Fillon, President of the Automobile Club de l’Ouest: “The Automobile Club de l’Ouest is proud of the work that’s been done on the future LM P2 category regulations, which has resulted in the selection of four prestigious chassis constructors: Dallara, Onroak Automotive, Oreca and Riley Tech/Multimatic. “Our priority is to supply the teams and drivers entered in this category with the best options and solutions to race in endurance on a long-term basis. Thanks to the decisions taken jointly by the ACO, IMSA and the FIA we have managed to bring together a high-quality pool of constructors which reinforces the interest in the series and its glowing future prospects. “These new regulations and the provisions that result from them, the first of which is the selection of the four chassis constructors, will lead to more competitive cars, an efficient, cost-capped, viable economic model, a global market for cars that can race in North America, in Asia and in Europe allied to an excellent level of service for the entrants. Jean Todt, FIA President: “The FIA is very happy to see such a significant achievement of this new era for LM P2 and sports cars. The FIA, ACO and IMSA have agreed to the unification of sports cars so that the same cars and same teams can race on both sides of the Atlantic. This is further evidence of the FIA’s continuing efforts to pave the way for more sustainable sport and keep costs under control – in this instance working with strong partners during the process.